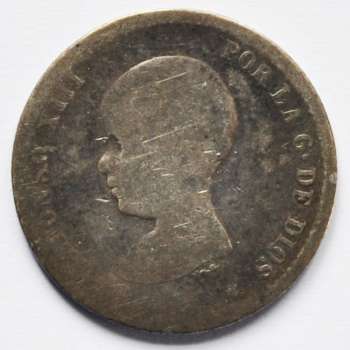 Obverse : Baby Bust, facing left; ALFONSO XIII POR LA G•DE DIOS 1891 below, between 6-pointed star (18 incuse in left and 91 in right ). Reverse : Crowned arms between pillars; REY CONSTL. 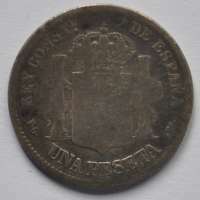 DE ESPAÑA above, UNA PESETA below, M•P• below left and •M• below right.